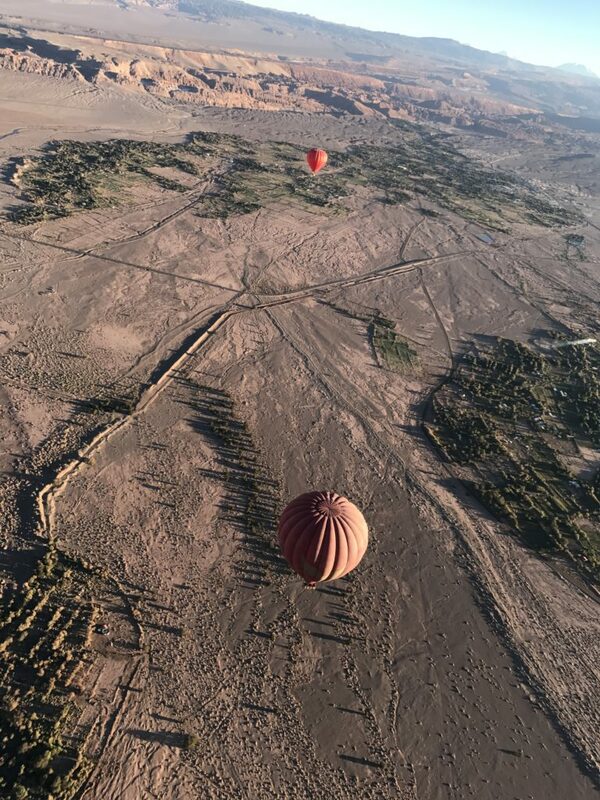 Wake up early (it’ll be worth it) and hop on board a private hot air balloon for a sunrise ride over the Atacama Desert. High in the sky in your wicker basket (channeling your inner Phileas Fogg), you’ll be bowled over by the majesty of the Atacama from such a unique perspective. Beneath you a myriad of colours morph with the sunrise, from the burnt orange desert to the crystalline salt-flats, shimmering turquoise lagoons and flocks of fuchsia flamingos. Floating over Moon Valley and Death Valley feels like exploring outer-space, the jagged peaks and rocky craters a true illustration of La Pachamama’s wicked creativity. If you’re looking to arrange a special experience for your family or a romantic honeymoon surprise, this is the ride of a lifetime. There are a handful of fantastic lodges in and around San Pedro that we’d recommend as comfortable bases for exploring the Atacama. 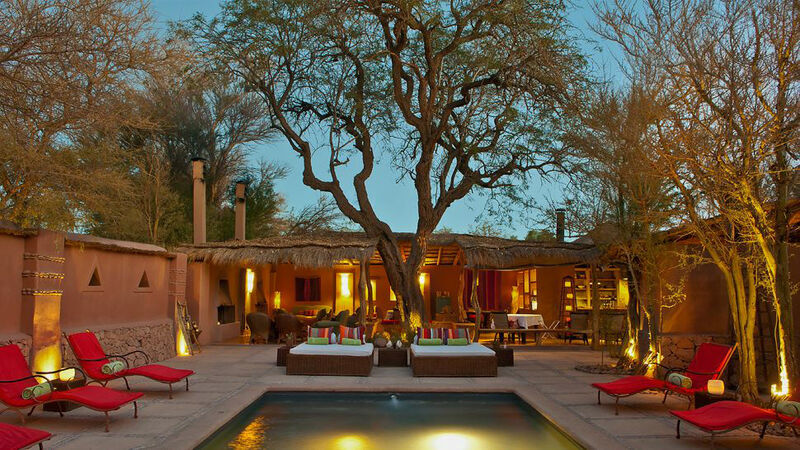 Awasi Atacama is one of our favourites; a peaceful retreat in an astonishing setting. Spacious adobe suites with thatched roofs, terraces and al-fresco showers form luxurious private homes to cosy up in after a day out in the desert. Days are spent exploring by 4×4 jeep, bike or on foot, enjoying the exclusive Awasi touch of having your own private guide and vehicle. As to be expected from a Relais & Chateaux hotel, dining here is superb, accompanied by the finest Chilean wines. Head chef Juan Pablo Mardones creates traditional Andean dishes from local produce with delectable results. At night, head to the observatory with a blanket to study the stars in the peace of the desert. 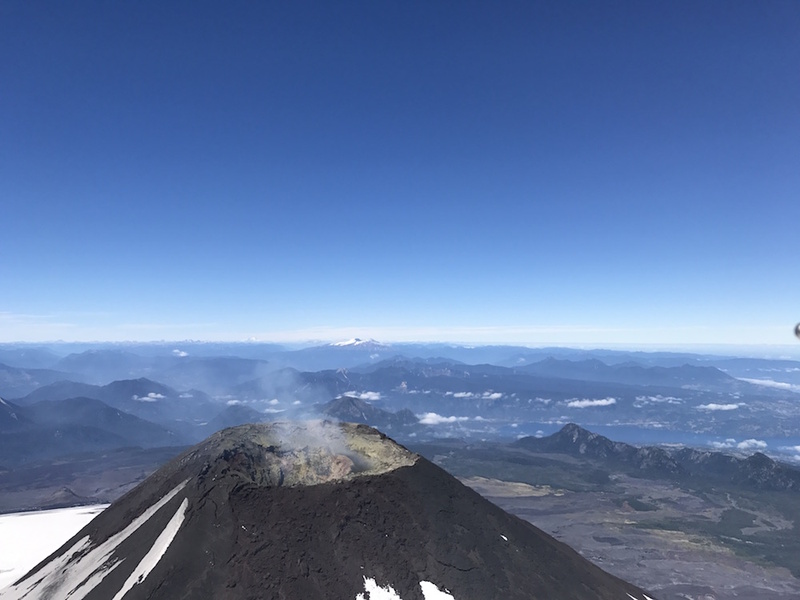 A helicopter or small plane flight takes you soaring over the mighty Villarrica, one of Chile’s most active volcanoes, for one of the most exciting experiences to be had in the Lake District. You’ll fly over vast glaciers to reach the smoky crater and if you’re lucky you’ll catch a glimpse of flowing lava within. The aerial views overlooking the National Park and Villarrica Lake at the foot of the volcano are spectacular. 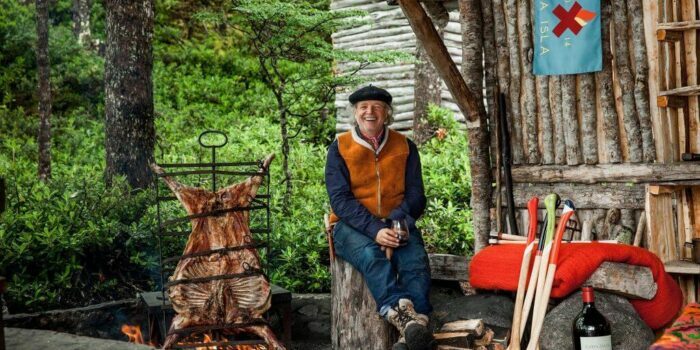 Family-owned working farm Vira Vira is beautifully set in the Chilean Lake District overlooking the Pucon River. Offering low-key luxury, spacious suites have a fireplace, terrace and outdoor hot tub for cosying up and relaxing in complete privacy, and you’ll instantly feel like part of the family with a warm welcome from your hosts. In the surrounding countryside you can enjoy fishing, river-rafting, hiking and riding through ancient forests. You’ll be treated to delicious homemade goods from farm produce; picture freshly squeezed juices, delicious bread and homemade jams and honey. There’s even a state-of-the-art milk and cheese dairy where you can make your own Gruyere cheese twists – the perfect accompaniment to an evening aperitivo. Board a two-man ultralight aircraft and set off from Perez Zeledon’s rolling hills to devour the natural beauty of Costa Rica from above. You’ll glide over verdant cloud forest scenery; thundering waterfalls, rivers winding through thick foliage and a swathe of dazzling blue as you approach the Pacific, rolling onto golden shores. After a thrilling adventure soaring with the birds, you’ll never want to come back down to earth. Unrivalled in Costa Rica for its luxurious rooms and state-of-the-art facilities, you’ll want for nothing at Alta Gracia. There’s a huge spa, fantastic restaurants, excellent horse riding and suites the size of the average house. We’d recommend saving this for the end of a trip; a pampering treat after an intrepid jungle adventure. 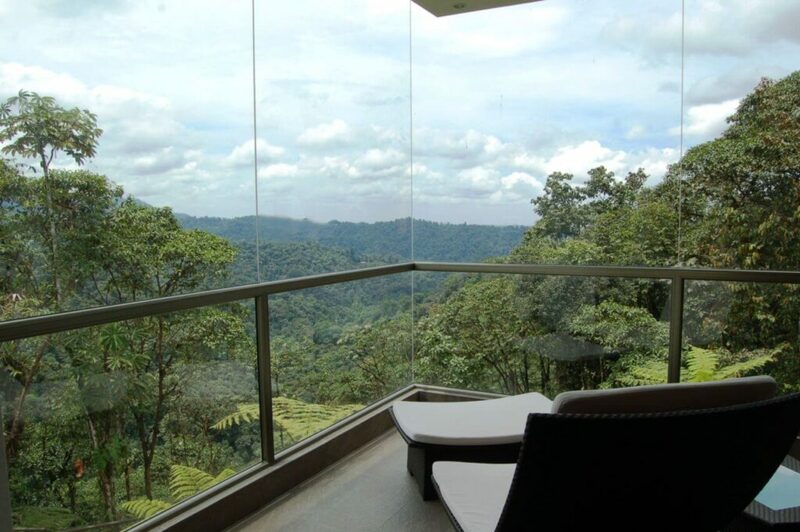 The Dragonfly is an incredible way to experience Ecuador’s Cloud Forest, completely immersed in nature. An innovative cable system takes you on a gondola ride above the forest canopy and through the trees, close to monkeys and birdlife that you could never spot from the ground. With only four people in each gondola, nature is undisturbed as you travel gently past beautiful flora and fauna enjoying an extraordinary bird’s eye view. Top Tip! 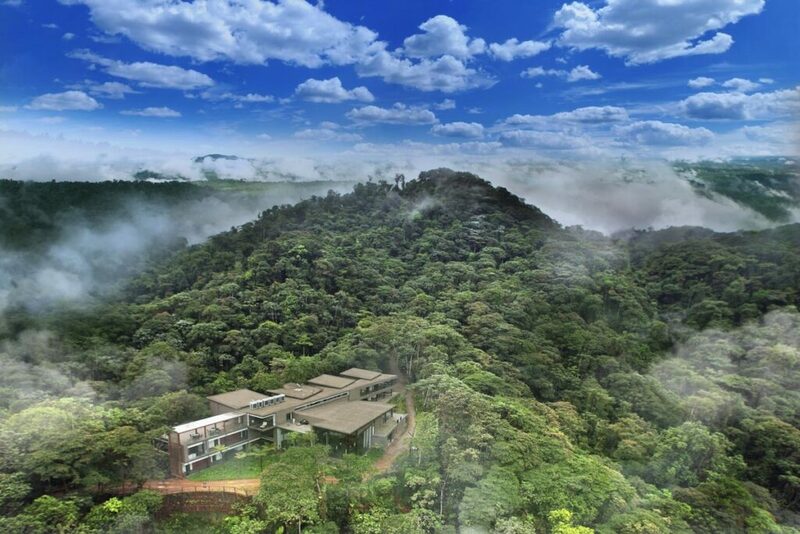 Pack a go-pro to capture rare sights from your vantage point above the Cloud Forest. In a secluded reserve in the heart of Ecuador’s Cloud Forest, virtually unexplored, Mashpi’s unique location gives it an incredible bio-diversity. Staying at the Lodge, stunningly designed with floor-to-ceiling windows, you’ll be transfixed by the activity of the forest encircling you. Naturalist guides take guests on trails to learn about the region’s endemic flora and fauna, and there’s plenty of adventure to be enjoyed along with the Dragonfly Ride. Take a ride on the Sky Bike, gliding through the clouds with uninterrupted forest views, or try your hand at the Jungle Swing Trail, swooping through a forest of Miconia trees on a sturdy rope-vine (Tarzan yell optional). This one’s for the thrill-seekers! Taking off with a hop, skip and a jump you’ll see the earth fall far beneath you as you glide steadily upwards, with an instructor in tandem to show you the ropes and give you the experience of a lifetime. Discover the beauty of Lavalleja’s rugged countryside as you circle granite hills, soar over rivers and race the birds as they swoop in the valleys. Adrenaline doesn’t come much easier than this! Uruguay’s interior, rarely-visited, is perfect for those looking to get a taste of local estancia life, charming tumbleweed towns and gaucho rodeos. El Balcon del Abra gives guests complete freedom to explore stunning countryside and indulge in unrestrained adventure. 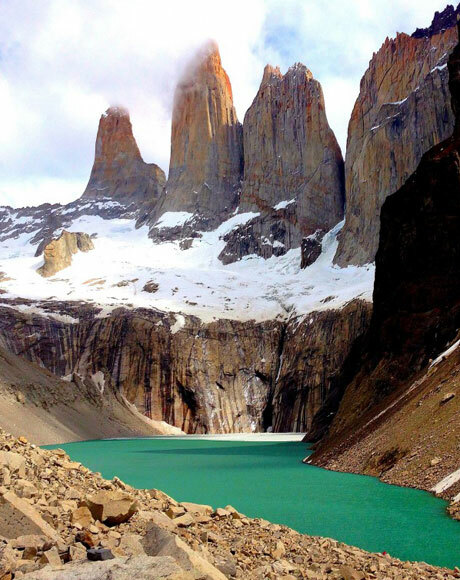 You can canoe on the lake, play a round of golf, herd cattle with the gauchos on horseback, race down the mountains on bikes or spend a day fishing in complete tranquility. Seeing Iguazu Falls first-hand is an awe-inspiring experience and we’d suggest allowing a full day to explore both the Argentine and Brazilian sides of the falls. Various walkways take you to prime viewpoints, which we’d recommend visiting early in the morning to avoid the crowds as much as you can. Boat trips to the base of the falls are incredible; taking you right up close to the thundering cascade to feel the spray of the falls. 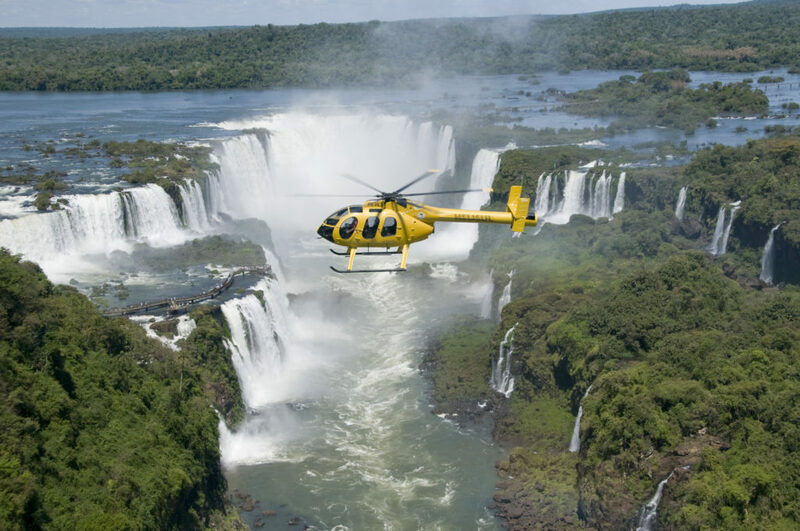 But by helicopter, you can really appreciate Iguazu’s sheer enormity as you hover above, watching the river crashing its way over the crest, observing nature at it’s most powerful. You’ll also get to see the surrounding jungle and tributaries leading towards the the falls, exploring Brazil, Paraguay and Argentina all in one flight! Staying within the National Park gives you exclusive access in the morning and evening when it closes to visitors. Belmond Hotel das Cataratas is the only hotel within Brazil’s Iguassu National Park and offers sensational views. After a day exploring it’s the perfect place to relax with a fantastic pool, spa and restaurant. The much anticipated Awasi Iguazú property will be opening in Argentina at the end of 2017. Situated only 15 minutes from the waterfalls, each of the 14 villas comes with its own specialist guide and 4×4. 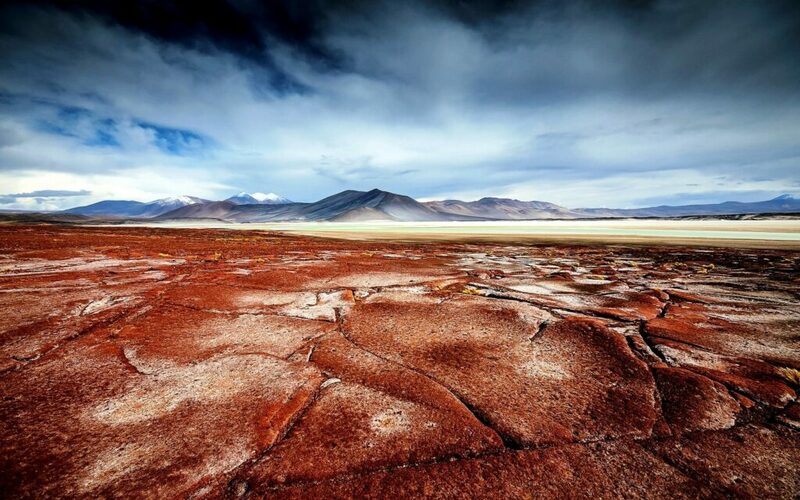 Awasi’s flagship properties in Chilean Patagonia and the Atacama Desert offer possibly the most sybaritic hotel experiences in South America, so we’re extremely excited for their venture in Argentina. 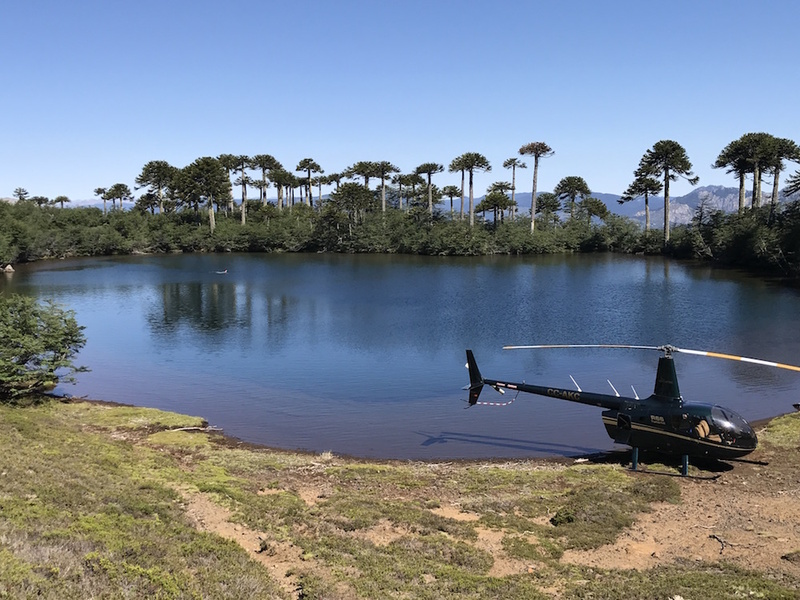 If James Bond was exploring Tierra del Fuego, he’d definitely be in a chopper. He’d probably then shimmy down a rope and ski a vertical glacier back to his hotel… but perhaps that’s a bit OTT… Still, buckle up ‘cos you’re in for an exhilarating ride! Taking a helicopter over the National Park you can discover so much more of its stunning scenery. You’ll pass the high altitude glacial lagoon, Laguna Esmeralda, with great chunks of ice bobbing on its surface, camouflaged penguin colonies and rolling mountain peaks stretching as far as you can see. You’ll touch down for a glass of bubbly looking out to extraordinary views, far from civilisation, before returning back to the launchpad with time for a dip in the hot tub before dinner. Try to top that! Arakur is a feat of sustainable architecture nestled on a natural balcony with panoramic views over the Beagle Channel and the city of Ushuaia. Rooms are huge, contemporary and marvellously comfortable. 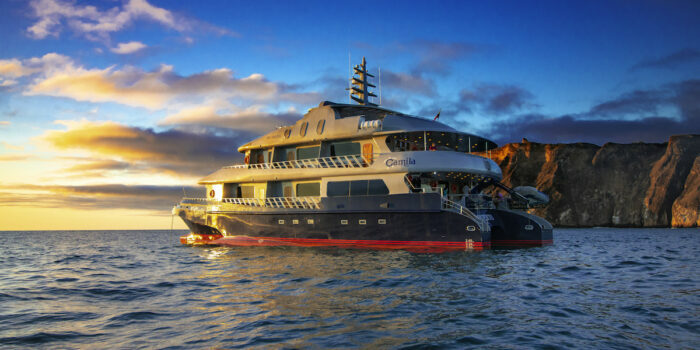 And most importantly, it’s perfectly located for exploring the National Park or embarking on a boat expedition to Antarctica or Chile.